Adapted from “Mediation in Transactional Negotiation,” first published in the Negotiation newsletter, July 2004. We generally think of mediation as a dispute-resolution device. Federal mediators intervene when collective bargaining bogs down. Diplomats are sometimes called in to mediate conflicts between nations. So-called multidoor courthouses encourage litigants to mediate before incurring the costs—and risks—of going to trial. Scott R. Peppet, a professor at the University of Colorado School of Law in Boulder, Colo., reports that mediation has been quietly creeping into transactional negotiation, or traditional dealmaking, as well. In Peppet’s survey of 122 practicing mediators, 48 reported having been involved in deals ranging from $100,000 to $26 million in value. The cases facilitated by the mediators included angel investments, a software joint venture, a physicians’ partnership, the sale of cable television access rights, and a host of business, community, and personal agreements. Real estate brokers, investment bankers, and executive search firms also serve as dealmakers, of course, but in the end, they typically represent a specific party. By contrast, a true mediator is nonpartisan and is equally responsible to everyone at the bargaining table. Unlike arbitrators, mediators have no power to impose an outcome on the parties involved. Instead they are process specialists, adept at moving people from narrow positional bargaining toward a problem-solving approach. If negotiators have been cautious about revealing critical information (such as their must-haves and walk-aways), a shuttle mediator—someone who goes back and forth between the parties, carrying proposals, floating ideas, etc.—may discover untapped possibilities for mutual gain. 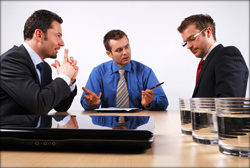 Specialized mediators can also contribute their expertise on deal structuring. While Peppet is generally positive about the prospects for transactional mediation, he notes that it may raise some legal and ethical issues. It’s not clear, for example, whether communications with a mediator are covered by the same confidentiality protections that apply to court-annexed proceedings. Also, an argument could be made that a mediator involved in a merger or acquisition might have to comply with security regulations and register as a broker.